Case Study 3: Mobility in megacities | J. Ricardo Mejía S.
“Mobility at the “first and last mile” of the Intermodal Passenger Transport in a European Megacity”. Design & Engineering: Mejia J.R. (Industrial-strategic design & Project Leader), Aguilar M. (Technical Development & Human Factors) and Steketee A. (Engineering). Project date & place: 2009 The Netherlands. Motio Development is a design studio based in the Netherlands with a passion for anything that moves people or goods, with or without wheels. Their portfolio consists of interior- and exterior parts and both products that are produced in mass production as well as single parts. The company wants to create the best possible solution in order to contribute to the “Mobility at the “first and last mile” of the Intermodal Passenger Transport in a European Megacity” with a new concept of buses (light-weight, electrical & modular low mini-bus). The final concept vehicle included a future sustainable vision of this system (product and its services) as a coherent part of the inter-modular system of transportation. After a human-centered design process crucial conditions were identified in the changing-process of development and growing of the European Megacities (overpopulation, limited amount of resources, congestion of infrastructure, penetration of new ITC, etc.) these situations created an ideal scenario for Motio Development to identify design opportunities in order to contribute to the sustainable development. 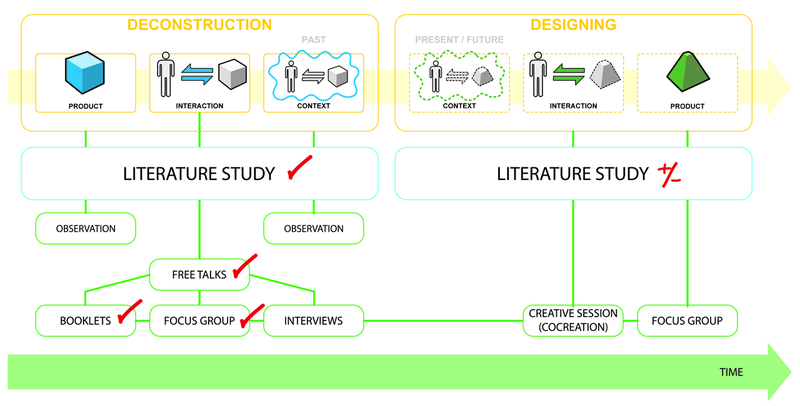 A set of three basic steps (analysis, concept discovery and concept design) was completed following a novel approach from the TUDelft called Vision in Product Design. 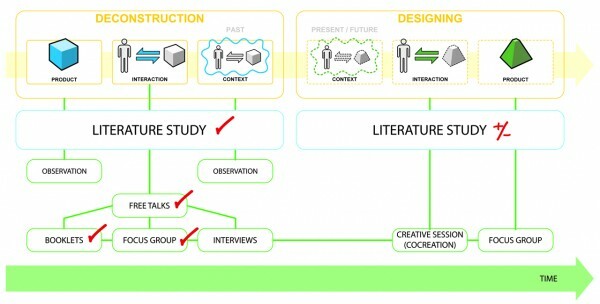 A literature research was conducted with the intention to define the mission statement of the system and the vehicle and a set of design-oriented user research toolkits were used, e.g. naturalistic observation, “mobility diary”, focus group, user analysis and personas, creative session, role playing and low-fi prototype. After the analysis stage is possible develop a conceptual proposal that will act as a framework for the designers and engineers in the concept design phase. Tanks to the conceptual framework was possible start the sketching phase including at list three alternatives. 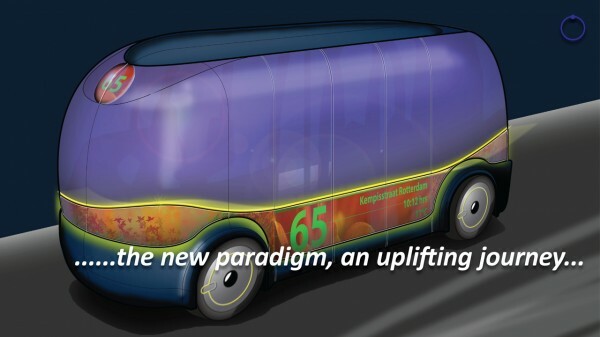 The final result is ITO (Integral • Transport • O emissions) that is a family of fully low floor, modular and light-weight cyber cars, minibuses and buses with electric propulsion for a flexible range of passengers. Using existing infrastructure this set of cars can fill the gap between private vehicles and public city buses offering an uplifting journey in a comfortable vehicle that is part of an efficient and flexible i.p.t. The interior design answers the entire passenger’s needs and expectations creating a unique experience thanks to different and sophisticated communication systems. This portfolio of buses was designed in five different sizes divided in three categories. ITO cyber-car. These cars can be used in public transport for the city center, in suburbs or for private uses in airports, hospitals and factories. Its dimensions and weight allow it to transport 16 passengers or less in small and sensitive areas of the city. Ideally the car would be used as fixed route transit bus in “protected areas” within the city. ITO minibuses. These cars can be used in public transport for the city center, inner city or suburbs. Thanks to its dimensions and its weight these vehicles can transport between 16 and 28 passengers. 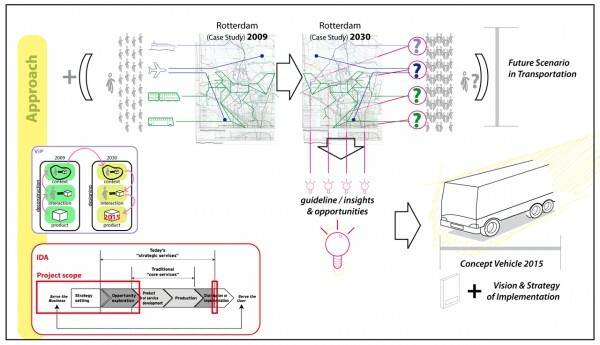 Ideally the model “m” can be implemented within the city centre or suburbs and the model “l” would be used to communicate the city centre to the conurbation crossing the inner city as fixed route transit bus or flexible demand responsive transport vehicles. Accessible minibuses can also be used for paratransit type services, by local authorities, transit operators, hospitals or charities. ITO plus buses. Exclusively in public transportation they offer a flexible solution in order to be used within the conurbation of the city or to communicate the city centre to the suburbs crossing the inner city and the conurbation as fixed route transit bus. Thanks to its dimensions and its weight vehicles can transport between 52 and 70 passengers. The new paradigmatic journey is the trip that offers a new uplifting experience in a comfortable vehicle (ITO). The vehicle is part of an efficient and flexible transportation network following the principles of co-modality (i.p.t. + private car or others like: car pooling, car sharing) at the “first and last mile” in a European Megacity.